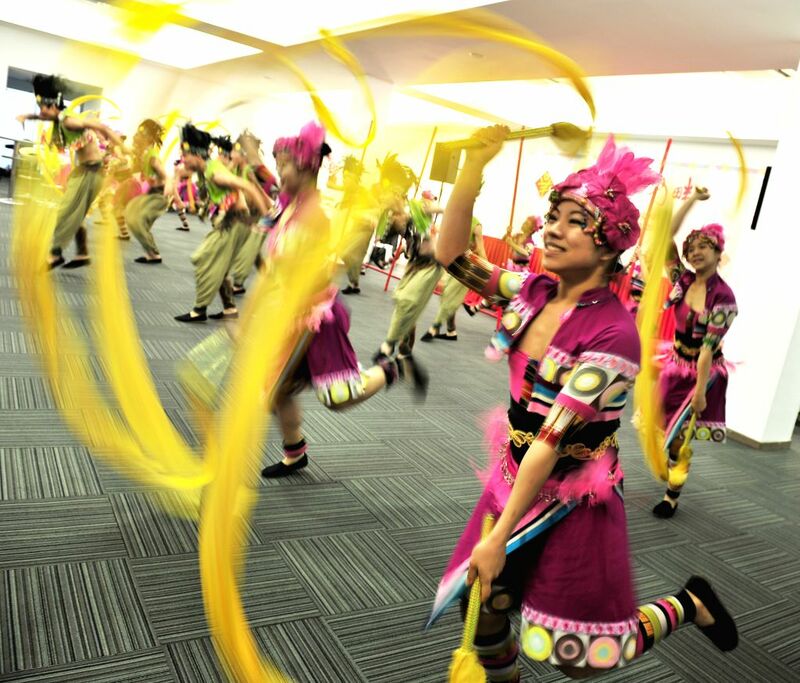 SINGAPORE, Feb. 16, 2015 - Dancers from Taiwan perform during the "River Hongbao" press conference held at a floating stage at Marina Bay in Singapore, Feb. 16, 2015. Organizers for the "River Hongbao", an annual event to celebrate the Chinese Lunar New Year, held a press conference here on Monday to inform that "River Hongbao" will be held from Feb. 17 to 28 this year with a series of celebrations featuring performances, cuisine, lanterns and other art works. 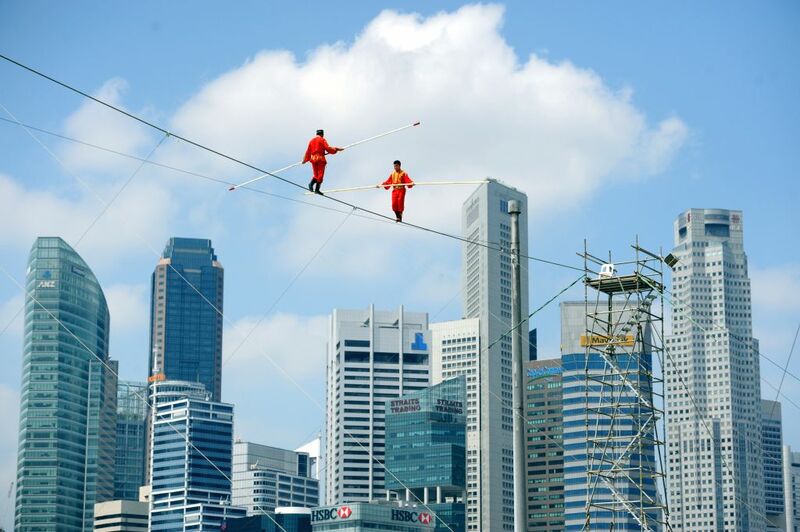 China's Xinjiang Acrobatic Troupe members Adili Wuxor (R) and Abulaiti-Maijun rehearse walking the aerial tightrope after the "River Hongbao" press conference held at a floating stage at Marina Bay in Singapore, Feb. 16, 2015.